Are we becoming too protectionist with employees? The news over the last few days are worrying to me. Fifty companies that failed to give Singaporeans “fair consideration” when hiring were taken to task. More than 500 Employment Pass applications from these employers have been rejected by the Manpower Ministry. Today it had just been announced that the minimum salary firms must pay local workers each month, if they want to hire foreign workers, will go up. This will increase from $1000 now to $1200 from July 2018. I think employers and business owners will agree with me that it is getting more and more difficult to find people to staff our companies. And it is getting more and more expensive to do so. Don’t get me wrong – I’m all for paying well, I’m all for paying over and above what we should… if we can afford it. If sales doesn’t improve, if I’m being squeezed left and right by landlords, insurance agents, taxes and tariffs even before I make a single cent…I won’t have much left over to pay my colleagues anymore. It is not easy to hire people in Singapore. If you’re not in the business of human resource, you won’t understand it. “But so many foreigners are here to steal our jobs” you might say… but you’re wrong. The only Singaporeans that send us their resumes seem to think that they’re buying 4D – they’re sending it hoping to strike gold. Out of a stack of 100 resumes, only 20 will actually be suitable for an interview. Out of this 20, half are expecting an exorbitant salary. Maybe only 5 will actually be suitable – and they’re so quickly snapped up by other employers. During the interviews, we are faced with candidates who are more interested in the working hours, the benefits, the distance from their home and the dress code (many don’t want to dress formally). Few actually ask us about progression, the work, the mission of the company and so on. I mean, it is ok to be concerned about work-life balance…but hey: what are your priorities? When we interview someone from another country, it is so refreshingly different – they’re there talking about strategies, they’re curious about your business model, they’re thinking laterally…in fact, the interview doesn’t feel like an interview…it feels like a meeting where we’re about to do something. The Singaporeans who are sharp like that, are already employed and it is hard to find out who they are and to entice them over to join us. That’s why headhunting firms are doing so well – and that’s why even though it cost so much, we have to use their services. Are we going to go the way of protectionist ways of Japan and Korea in the past? 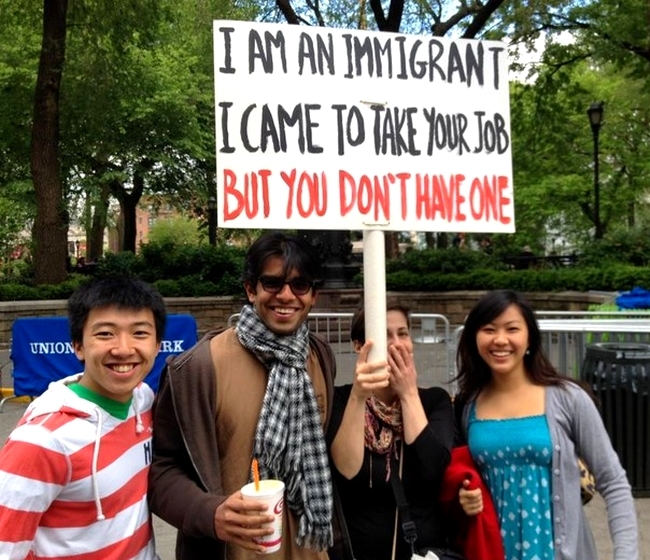 Discriminate the foreigners just because of our egos? They have learnt their mistakes and are only just slowly crawling out of the economic abyss they have thrust themselves into. 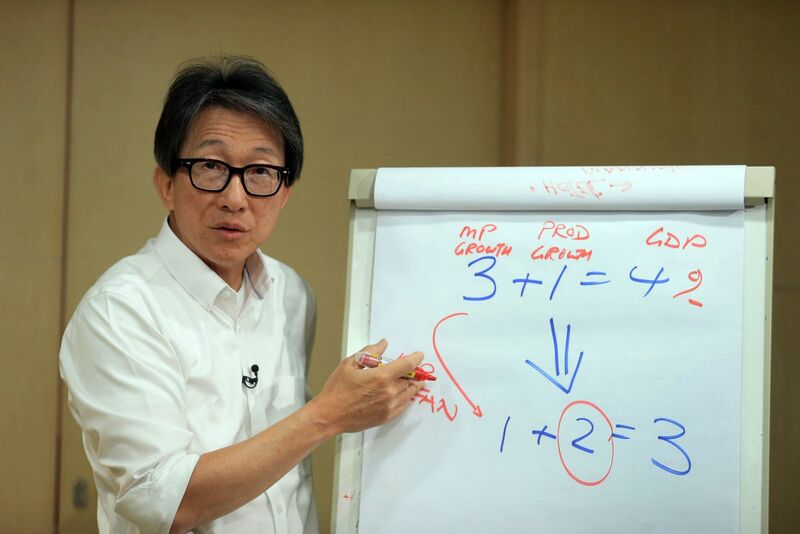 Lim Swee Say is concerned about the demographic dilution of Singaporeans if we carry on increasing the number of foreign employees – but that is a separate problem and that problem ought to be dealt with with different weapons. For the past few years, we’ve been seeing GDP growth of less than 3%…a far cry from the 8% that this country was known to do. It scares me if we should turn negative. If this sluggishness continues, there’s not going to be much work-life balance to talk about, there may not even be a chance for employees to chose what jobs they want to work in. It may be an employees market now…but if it becomes overly so and it hurts the economy – it will become a very, very employer’s market.